Credit: Image reproduced by permission of Brent H. Shanks and The Royal Society of Chemistry from Green Chem., 2017, 19, 3177-3185, DOI: 10.1039/C7GC00296C. AMES, Iowa – With crude oil selling for less than $50 a barrel, there's little economic incentive to develop biorenewable chemicals as only drop-in replacements for petrochemicals. That's a reality that has leaders of the National Science Foundation Engineering Research Center for Biorenewable Chemicals (CBiRC) based at Iowa State University proposing a new model for creating, applying, and commercializing chemicals made from corn stalks, wood chips and other sources of biomass. The researchers' model is based on nine years of CBiRC work to study, de-risk and develop biorenewable technologies. The model calls for identifying "bioprivileged molecules" that offer unique properties that could lead to new products. The model was introduced by CBiRC's Brent Shanks and Peter Keeling in a recent perspectives article, "Bioprivileged molecules: creating value from biomass," published by the journal Green Chemistry and featured on its cover. Shanks is the director of CBiRC, an Anson Marston Distinguished Professor in Engineering at Iowa State and the Mike and Jean Steffenson Chair in Chemical and Biological Engineering. Keeling is the industrial collaboration and innovation director for CBiRC. "Bioprivileged molecules by their origin from biological-derived molecules and concomitant plethora of functionalities have the potential to greatly expand the bioproduct horizon beyond the scope of petrochemicals," Shanks and Keeling wrote in their paper. The two define bioprivileged molecules as chemical intermediates that come from biological sources and can be efficiently converted to various products, including new chemicals and drop-in replacements for existing chemicals. Shanks and Keeling also presented their ideas about bioprivileged molecules during a January workshop supported by the National Science Foundation and a June conference sponsored by the U.S. Department of Energy. "What we're talking about is novel molecules with new properties," Keeling said. "These molecules haven't been thought about because they weren't possible from petrochemicals. But there could be great value in this novelty." Shanks said CBiRC – established in 2008 with the goal of combining the tools of biologists and chemists to develop hybrid technologies for producing biorenewable chemicals – has pointed the way to just such an approach. Oil refineries turning crude oil into fuels also produce light gases as a byproduct. Companies have taken those gases and turned them into the intermediate molecules (alkenes and aromatics) that feed the petrochemical industry and produce its plastics, fibers, adhesives, detergents, paints, inks and much more. That's an industry that's been in business for more than a century. As a result, it's working with familiar molecules and efficient processes that produce low-cost chemicals. Shanks said researchers affiliated with CBiRC, which has been supported by a series of grants totaling $35.26 million from the National Science Foundation, weren't finding economically viable ways for biobased chemicals to replace those petrochemicals from inexpensive crude oil. But, he said the petrochemical industry hasn't produced new commercial molecules in two decades. And that has created what could be an opening for valuable biobased chemicals. "The question you have to ask is, 'Do we have all the molecules we need?'" Shanks said. "Are we done?" Shanks said CBiRC researchers have been asking scientists and engineers in the consumer products industry if they had all the molecules they needed. "The resounding answer we get is no," he said. "They say, 'We need new innovation, new products, new molecules.'" So where are those molecules going to come from? Shanks and Keeling point to biomass from plants as a source of new intermediate molecules. "Biomass-derived feedstocks hold particular promise for dramatically increasing the pool of possible intermediates because they provide a rich array of chemical complexity," they wrote in their paper. The resulting chemical products could be next-generation pharmaceuticals, nutraceuticals, antimicrobials, insecticides, herbicides, consumer goods and specialty chemicals. "There is no doubt that biomass-derived molecules hold great promise for generating products with enhanced properties," they wrote. Now that CBiRC has been around for nine years, Shanks said the research center has several case studies demonstrating how bioprivileged molecules create new products and opportunities. 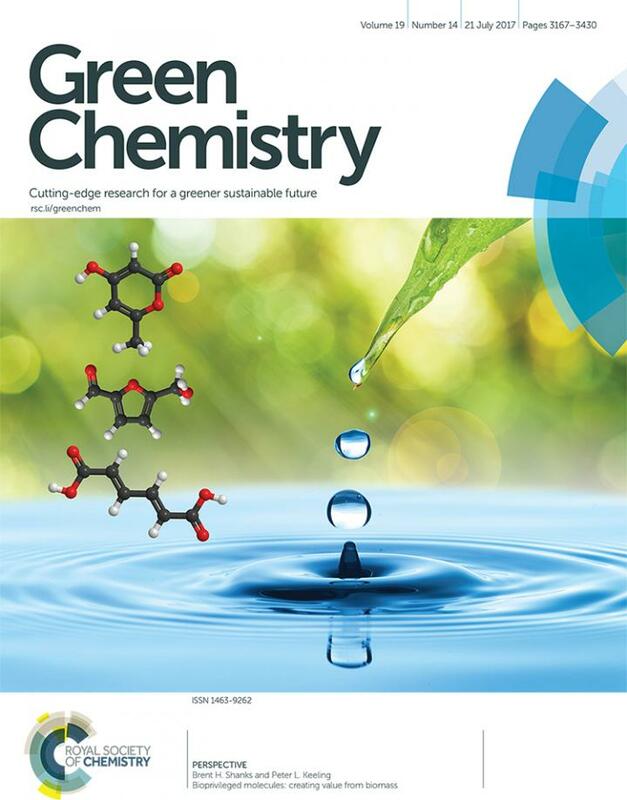 Muconic acid is one example cited in the Green Chemistry paper. Last year, two researchers affiliated with CBiRC – Zengyi Shao and Jean-Philippe Tessonnier, Iowa State assistant professors of chemical and biological engineering – reported how they produced a biorenewable nylon. They started with genetically engineered yeast – "a microbial factory," Shao said – that ferments glucose into muconic acid. Then, using a metal catalyst and a little electricity, the researchers produced 3-hexenedioic acid. With some simple separation and polymerization steps, they ended up with biobased, unsaturated nylon-6,6. "There is no good way to get to this molecule from petrochemicals," Shanks said. "But biology can do so many things." It will take a lot of testing to figure out exactly what bioprivileged molecules can do. And so Shanks and Keeling wrote that the way forward should include new computational and experimental strategies to test biobased chemicals for new and valuable applications. Once again, Keeling said CBiRC is working to show the way by developing approaches to systematically identify bioprivileged molecules as well as high-throughput strategies that can quickly evaluate thousands of new molecules for applications in various industries. "We're saying, 'Let's make molecules,'" Keeling said. "It's very hard to design your way to a new molecule. So we're taking new, bioprivileged molecules and seeing where they can best be used."